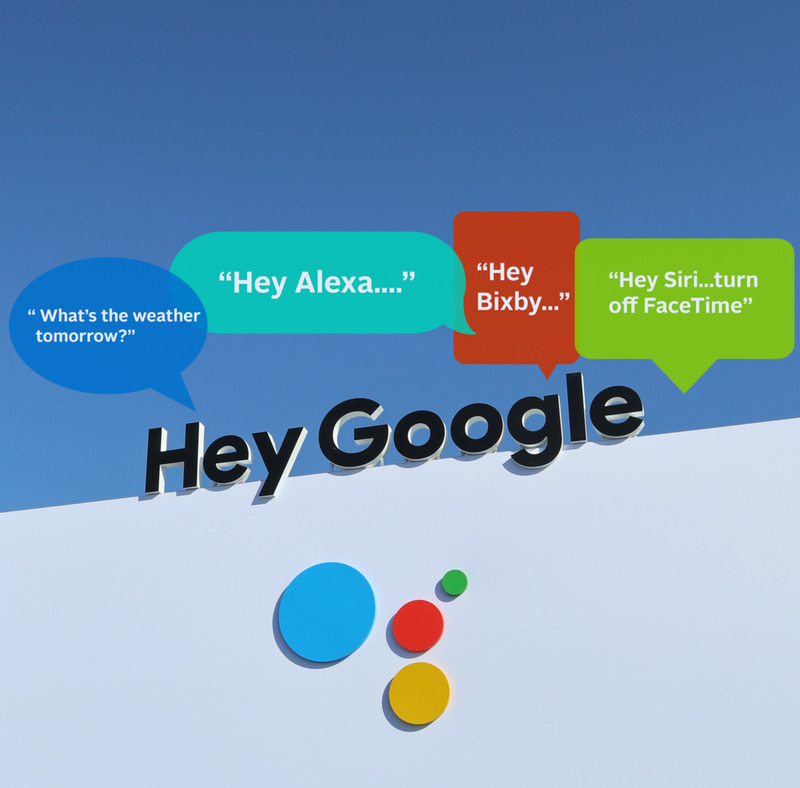 At CES 2019 voice integrated technology was everywhere, open-standard wireless technology is putting the customer experience at center-stage, Google had a real-live roller coaster, and Apple flipped everybody the privacy bird. It has been three short weeks since CES 2019 and the team at MMB Networks has taken some much needed time to reflect on the show. The media reported that 2019 was an “iterative” year for CES. One that didn’t see a futuristic unicorn device that had everyone buzzing and yelling “Shut-up and take my money!”. If you dig deeper, instead of being a boring second look at old technology likened to iOS update 12-point-who-cares, it was more like a year of deliberate and exciting progression. Voice activated technologies from our vantage point stole the show. This is a direct result of consumer buy-in to smart technology and it’s a great thing to see. Next to that, developing technological innovations aimed at creating real life-changing products that actually work was a particularly prominent focus for vendors at CES. There was indeed an indoor/outdoor roller coaster from Google, Apple trolled competitors with a 13-storey billboard, there was a robot from Omron that played ping-pong with killer back-spin, and then there was that phone with a bendy screen. But the real takeaway from CES 2019 (for us at least) was the focus on improving user experiences with IoT products with real value added features borne out of cutting edge wireless technology. This is music to our ears at MMB Networks as this is a core reason we’ve been so successful in this space -- we focus on making the IoT actually work. Here are some thoughts on CES 2019 from a few members of our talented team of IoT experts that made the trek to Las Vegas. Smart speaker integrations were everywhere. Alexa and Google Assistant are being used to enhance all sorts of devices ranging from audio/entertainment to home and building control. This is fantastic, but In my opinion, the varying degrees of integration will continue to cause some confusion for the general consumer. 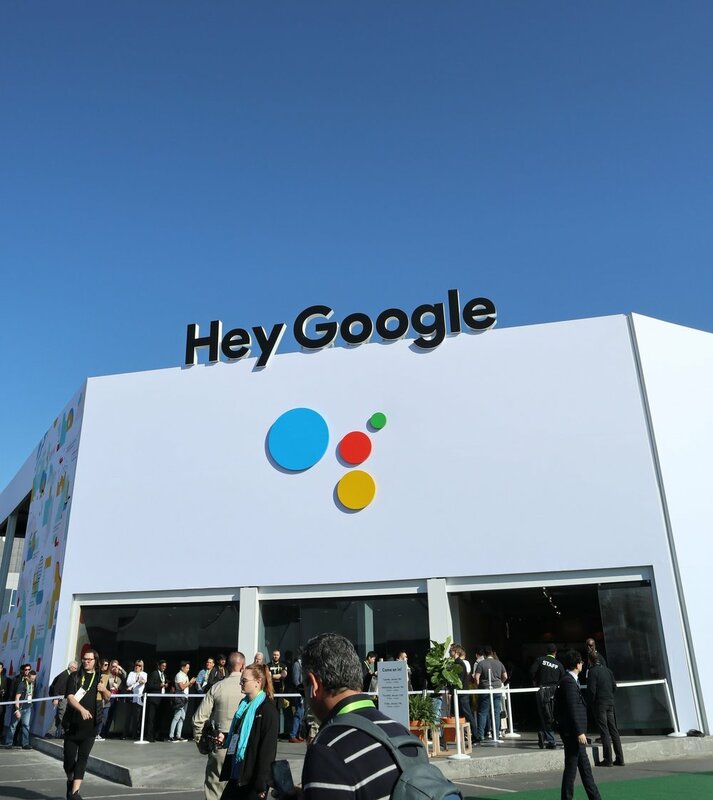 Google spent a fortune educating CES attendees with an entire building and roller coaster ride devoted to displaying Google Assistant functionality - Was it necessary? MMB customer AXIS at CES - retrofit existing blinds and voice enable them through Alexa, Google, and Samsung SmartThings. Using Amazon as an example: the features and user experience are different when Alexa is "integrated" into headphones vs. a Wi-Fi capable device such as the Sonos One. The fragmentation of experiences is compounded by the short list of devices that are able to communicate directly with an Echo Plus via Zigbee vs. the plethora of devices that work with a cloud-to-cloud connection. In reaction to the potential breakdown in experiences, Amazon is making great strides to streamline the user experience with innovations like Frustration Free Setup and by dedicating resources to developing open standards that benefit all consumers. It's great to see the surge in interest in home automation as consumers begin to explore the things they can do with their smart speakers. However, until Amazon and Google can get a handle on how to properly brand the varying tiers of integration and the use cases for each one, I foresee some frustration for consumers who are selecting devices based on the "Works with ____" badges. Another interesting theme at the CES this year was the balance between AI and privacy. Many vendors at the show touted AI as a key feature of their new products. Panasonic demonstrated camera-based "Emotion Sensing" and Sleep Number showcased the ways that sensors in your bed can improve your sleep and detect health problems. These were interesting innovations, but I was happy to see that some startups, like Smart IoT Labs, are also focusing on local processing and direct communication with mobile devices instead of constantly feeding data to the cloud. Moving forward, I'd like to see more vendors focusing on the unique value that their device can provide as a peripheral to other systems - instead of making hasty attempts to connect their device directly to the cloud to deliver a vague value proposition involving AI. It has been 3 years since my last trip to CES and I was excited to see the continued adoption and admiration of the IoT and more specifically smart technology. In many cases ‘technology’ has become synonymous with ‘smart’ as integration of smart technology went beyond the Smart Home marketplace and could be found in gaming, sleep, family, baby, sports, retail and almost any and all marketplaces at CES. I guess essentially this is IoT, or the internet of everything! CES proved to me that if your company is not thinking about the IoT then you will be left behind by those that embrace and innovate with it. Procter & Gamble, a first time CES attendee, is a great example of a company who understands this and had some exciting technology on display. Those companies that build the IoT into their overall business strategy successfully will need to think beyond the addition of a voice assistant. They will need to think hard about how their new ‘smart’ product will bring more value to the end user. Those companies that don’t adopt a well thought out IoT strategy may just sell the end user a product with more frustration, a bad user experience, and ultimately a dumb product that wants to be smart. Voice control has taken over. You can talk to just about any smart gadget now with an Amazon Echo Plus or Google Home assistant. I do sense a future where the Smart Phone or even Voice activated commands will eventually not be front and center. From a wireless perspective, technology companies are working hard on the key areas of interoperability and security. The seamless connectivity of different devices using different protocols needs to become more transparent to the user. There was quite the array of smart home gadgets ranging from a mechanical laundry folder to a smart toilet to a remote pet feeder. Major brands like Whirlpool, Samsung and P&G were using their show-floor spaces to highlight important lab projects and venture-backed initiatives. It’s without question that these devices and technologies will eventually be connected and networked with one or more unifying platforms. We noticed that the Beauty industry made a significant investment in CES in 2019 and showcased new devices and platforms they are working on. The P&G Opte skincare wand, J&J’s Skin Scanner for Neutrogena 360, and L-Oreal’s La Roche-Posay My Skin Track are just a few of the revolutionary products that this space is producing. My observation was that these global companies appear to be focused on strategies to enable the benefit of owning original consumer data and insights. This is just a sliver of our insight into what we saw at CES 2019. We could have kept this going for quite some time as there is just so much to see and do at CES. Stay tuned for more analysis as we see developments in the ideas we discovered at CES by signing up below! We’re already looking forward to CES 2020! Thank you for subscribing! Keep an eye out for Fresh Insights!